Here at Nobel there is plenty of opportunity for students to take to the stage and extend their skills and interests in all the performing arts subjects, by attending the many extra-curricular clubs, performances and concerts we produce each year. Students who wish to develop their skills further can become involved both onstage and back-stage, providing a wonderful opportunity for students from all years to work together. The performing arts are central in helping our students to enrich their school life by providing creative opportunities. These are pivotal in contributing to the school ethos of lively, imaginative, creative, enquiring and independent minds. Previous shows have included ‘Oliver’, ‘Our House’, ‘Grease’ and ‘The Wiz’. Students are also able to use the drama spaces to rehearse their exam project work at lunchtimes and in the evening, to further develop their ability to work effectively and industriously towards their personal goals. 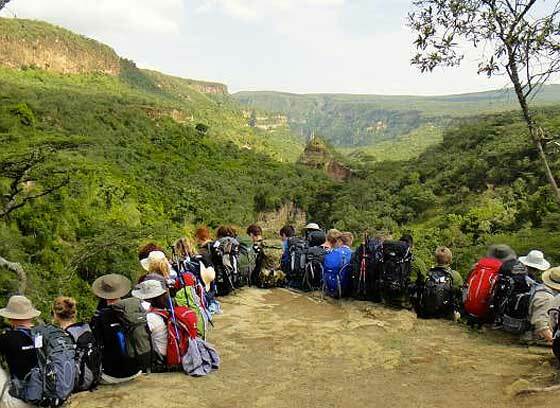 World Challenge is the leading provider of life-changing school expeditions and is an experience offered to Nobel students at the end of year 9. This allows students two years to raise the money needed to fund the expedition before they travel at end of year 11. As part of the expedition the students are in charge of absolutely everything from organising the transport, accommodation and supplies, to liaising with the local communities that we work with. Nobel World Challenge students have visited various countries over the years including Morocco and Ghana. Future destinations include Costa Rica and Nepal. It is a wonderful opportunity for students and really helps to build the well-rounded individuals that we promote here at Nobel. Nobel is a beacon school for the Chance to Shine charity. We have been heavily involved in a number of pilot and long standing projects that have benefited both students and staff at the school. The aim of Chance to Shine is to keep cricket alive in schools and to teach a generation of young people vital life skills through the vehicle of sport. The Chance to Shine charity has been a tool to engage and inspire many Nobelians. We are proud of our link and are committed to a sustained link with the charity in the future. I have enjoyed being at Nobel school because everyone always has the chance to shine. The lessons are filled up with new information, that really makes you go WOW! 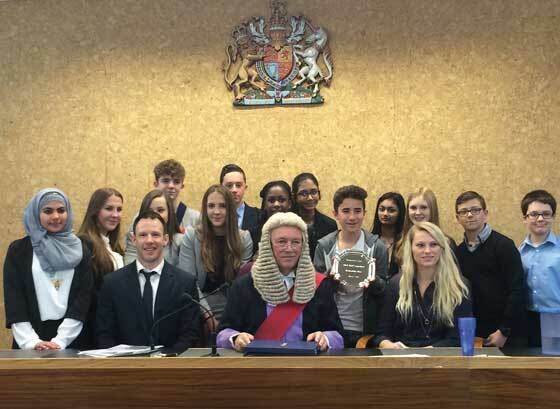 Every year we select a team of year 9 students to compete in the Mock Trials competition, organised by the Citizenship Foundation. These students take on the roles of lawyers, magistrates, witnesses, court usher and legal advisor. This is a fantastic opportunity for students to familiarise themselves with the justice system, whilst working on their ability to analyse statements and improve their speaking and listening skills. We are very proud of our students who have won the local heats twice in the last three years and both teams went on to complete in the regional finals in Medway. At Nobel we value greatly the opportunities that arise from taking part in international learning. As a school, we are working towards gaining full accreditation for the British Council’s International School Award, a prestigious accolade which not only celebrates the international diversity and ethos of the school, but ultimately provides recognition for the vital part that our staff play in educating our students as the global citizens of the future. We already offer our students a wide range of experiences that enhance their learning and raise awareness of their national and international identity. For example, the school has an active link with Rimuka High School in Kadoma, Zimbabwe. The Duke of Edinburgh Award scheme is an exciting opportunity for Nobel students. It gives students the chance to develop skills for life, improves confidence, and encourages students to become more proactive. Students will also improve their understanding of the local community and the environment. At Nobel we offer the Bronze Award to Year 10 students. As part of the enrichment programme, AS and A2 students take part in fundraising events organised and supported by the sixth form tutor team. In 2013 students raised money for Cancer Research UK and for Keech Cottage Hospice by taking part in the national Three Peaks Challenge. This involves climbing the highest peaks in Scotland, England and Wales within a 24 hour period. These peaks are Ben Nevis, Scafell Pike and Snowdon and the team completed the challenge in just over 26 hours. 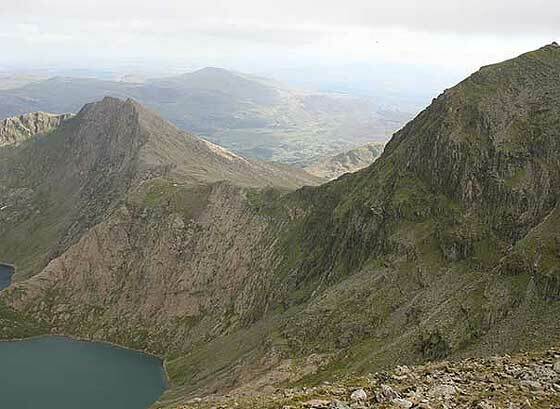 In 2014 students again faced the challenge of the Three Peaks to raise money for the Make-a-Wish Foundation, beating the previous team’s record by two hours. 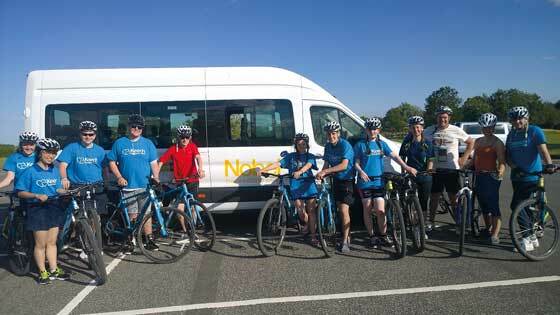 The 2015 challenge is an eight-hour endurance cycle around Grafham Water raising money for Keech Cottage Hospice and the Multiple Sclerosis Society. We have a wide range of sport based extra-curricular activities on offer to all students at Nobel. These provide students with an opportunity to extend their experience with skill development, enjoyment and peer-cohesion. 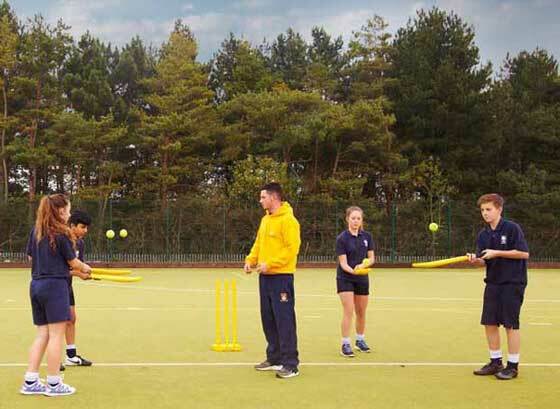 To enhance the extra-curricular opportunities we offer a full competitive sport programme. We are committed to the national School Games plan to ensure students gain competitive experience in a wide range of activities. 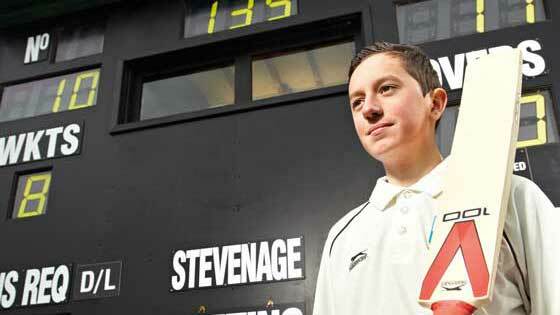 We are very proud of the community links that we have throughout Stevenage and Hertfordshire. 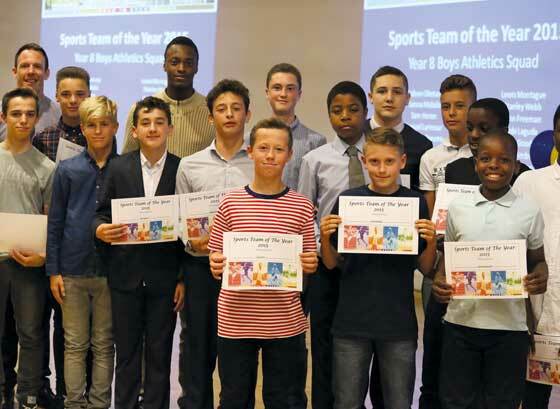 We work in conjunction with Stevenage Borough Council and Stevenage Sporting Futures Team to extend opportunities for our young people to ensure they are getting the very best provision available. These programmes exist as a result of our proactive approach and collaboration with local clubs and National governing body representatives. These links include working with disability and inclusive clubs to ensure all students gain equal opportunities in sport. We have been recognised for our extensive work through a Sport England regional award for our satellite clubs’ programme. We are also a Chance to Shine and Lady Taverners school, embracing and embedding their programmes. Extra-curricular sports at Nobel have helped improve my confidence over the years. Taking part is not only fun, but allows me to make new friends and not just from my own year group. I feel that it helps clear my head and relieve stress, helping me to concentrate on my school work. We spent 5 fantastic days skiing and every evening was packed full with enjoyable activities! The scenery on the slopes was beautiful and the sense of achievement in improving our skills with this new sport was something many of us came back with. At Nobel we offer numerous opportunities to expand the students’ experiences of sport through a diverse range of school trips. 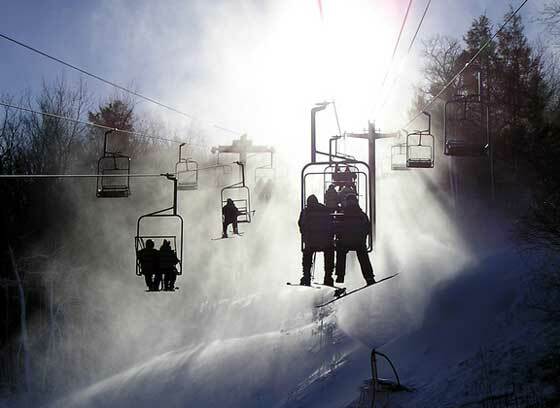 Every year the Physical Education department offers students the chance to participate in a ski trip or sports tour. These two visits alternate on a yearly basis providing a range of experiences and opportunities. The ski trip allows students to undertake sporting activities in breathtaking locations around the world. It combines the excitement of visiting different countries and experiencing new cultures and lifestyles with the ability to spend around 4-5 hours per day skiing in the mountains. After a strenuous day of skiing, the students can take part in various activities, including quiz nights, movie nights and other winter sports. The sports tour allows students to experience activities in another country, competing against international teams in a tournament scenario. The students improve their sporting abilities and have the opportunity to develop key skills such as communication and team work. The tours also allow students to learn about the history of the country we visit. For example, as part of our trip to Italy, students visit the stunning city of Venice, as well as the iconic balcony from Shakespeare’s Romeo and Juliet in Verona. The Nobel Most Able programme promotes an ethos where intellectual rigour is encouraged and all students are given the support and opportunity that they need to reach their full potential. A 360 degree movie presentation discussing life in the trenches in World War One, as well as the formation of black holes and how they affect the light in the night sky. A ten-week science, mathematics and engineering project of students’ own design. Discussion on advanced degree level physics by university lecturers in London, covering topics ranging from floating electromagnets, to LCD screens and how they work. Opportunity to talk to Cambridge undergraduate students about their experiences at university as well as the process by which they applied and hints and tips to help with university applications. STEM project sponsored by MBDA where students present their ideas to engineers before working on an on-site project. Opportunity for students to experience what life as a chemist is like, and how they can apply skills in a work place environment. A day trip to Citi Bank in London to experience life as an investment banker, as well as receiving help in writing CVs and advice on job applications. 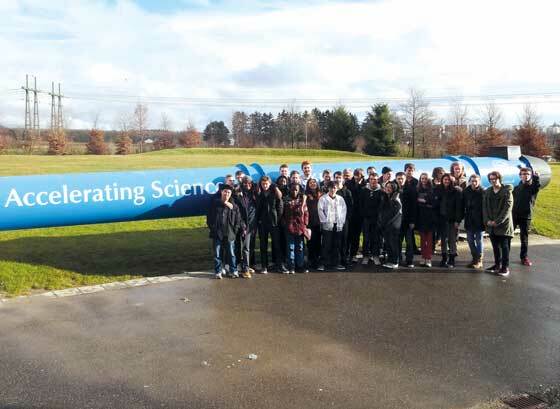 Bi-yearly physics department trip to Geneva Switzerland, where students are able to experience life in one of the world’s biggest scientific campuses, and see the Large Hadron Collider experiment. The debating society meets regularly to discuss and debate current affairs. A 4-week placement in a scientific environment, enabling students to complete real research over the summer. Nobel offers a very successful summer school to aid the transition from primary to secondary school. We explore students’ feelings towards school and deal with their concerns and worries. Students take part in a range of activities that include crafts, sports and adventure, as well as improving their literacy and numeracy skills in a busy, fun and interactive way. Feedback from students and their families is very positive and, at the end of the programme, students feel confident in finding their way around school, have made new friends and are ‘school-ready’ for September. Students in Year 7 are given the opportunity to attend a one week summer school, preparing them for the step up to year 8. This year, students took part in a combined drama and ICT workshop creating an ‘App’ which can be used to guide new year 7 students and their parents around the school. Students also explored the different stages of education e.g. primary, secondary, sixth form, university and apprenticeships, as well as looking at different careers and places they would like to travel to in the future. They improved their research and presentation skills, self-esteem and confidence while making new friends with students who they had not necessarily socialised with during the year. As well as being great fun, the summer school really helped my son when September and Year 7 arrived. He had already met some of his classmates and some staff which made the transition from primary to secondary less overwhelming and intimidating. increased confidence at interviews and enhanced presentation skills. 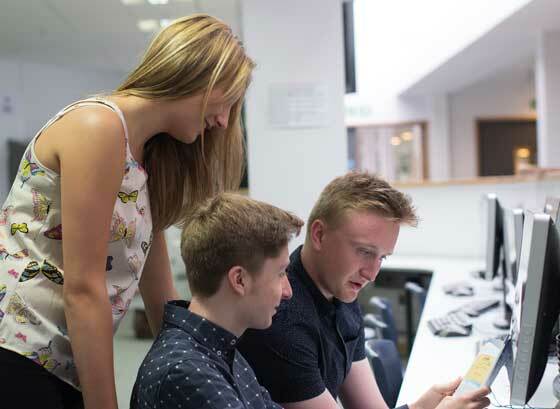 Whether students are looking for part-time employment whilst they are still at school, thinking of applying for an apprenticeship or looking for full-time employment once they have completed their education (whether at Nobel, college or university), this qualification will enhance their CV and give them a talking point during interviews.